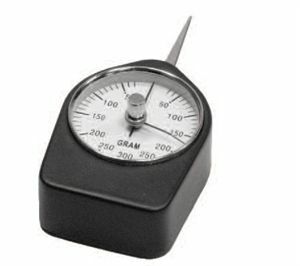 The simplest way to measure low forces below 1000gf These handheld gages offer a very quick and easy method of measuring forces between 1 and 1000 grams force. Each gage is equipped with a slave pointer to indicate the peak reading – suitable for measuring very basic tests. For improved precision and test functionality, have a look at our Digital Force Gages.